For someone who is into essential oils, the Bamboo and Glass Essential Oil Diffuser from ToiletTree Products would make a fabulous gift. Beyond adding an aroma to a room, essential oils provide many diverse benefits. Using a diffuser is an easy way to disperse them so that their scent can fill a room with the oil’s natural fragrance, without overpowering the senses. As an added bonus, it does not rely on harmful chemicals. The new Essential Oil Diffuser from ToiletTree Products boasts several unique features, including an extra-large water tank and automatic shut-off system. The 1,200 ml capacity water tank automatically turns off when the water level is too low, so users never have to worry about monitoring the water level. 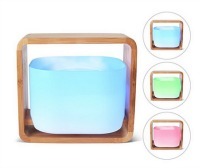 Everyone will love the color changing LED lighting – a rotation of soothing red, green and blue colors. Buy it. The EatSmart Precision Elite Digital Kitchen Scale makes a great gift for the baker in your life.Baking is a precise science, and when something doesn’t turn out right, the culprit is often a discrepancy in measuring. If you want to ensure that your baked goods are delicious, it’s critical to measure the ingredients, by weight, on a kitchen scale. 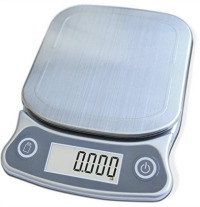 This Elite Kitchen Scale means better results through accurate measurements and less mess to clean up. There’s no need for scoops, measuring cups and a leveling knife; you’ll save time and mess every time you bake. The Precision Elite is also perfect for everyday tasks from weighing food to monitoring caloric intake. Furthermore, its sleek, modern design fits perfectly in any kitchen. Buy it. For the health-conscious, consider gifts from Nerium. 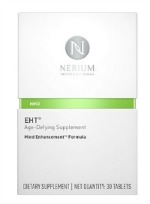 The EHT Age-Defying Supplement is an amazing, breakthrough supplement that features the patented EHT molecule and other key beneficial ingredients. Developed after more than 20 years of scientific research, Dr. Jeffry Stock discovered the EHT molecule, a mix of bioactive molecules isolated from coffee. The EHT molecule optimizes the function of PP2A, a key protein that helps keep neuronal connection in the brain strong and healthy. Contains minerals such as Magnesium, Selenium, Vitamin D, Vitamin B6 and more. Each box contains a full 30-day supply. Buy it. The NASA Life Tracker fitness band from Hammacher Schlemmer tracks ECG, heart rate, steps, natural light exposure, calories, and sleep. 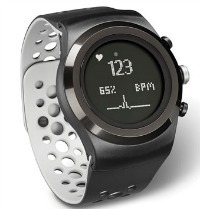 While the device’s accelerometer tracks steps taken and distance traveled, the built-in ECG measures heart rate to more accurately calculate exercise intensity and calories burned. After sleep sensors tally the hours and quality of shut-eye, a light sensor helps improve vitality and rest by indicating underexposure to energizing natural daylight or overexposure to sleep-stunting blue rays. Data appears on the device screen or a paired mobile device via a free app. The life tracker doubles as a watch, shows incoming smartphone messages and alerts via Bluetooth. Battery lasts a full year. Compatible with Apple and Android. Buy it. 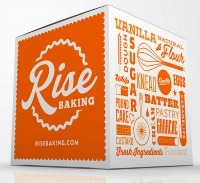 Rise Baking is a monthly baking subscription service that ships premium ingredients with original recipes directly to your door. The process is simple. 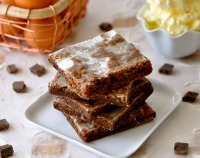 Each month you will choose recipes that suit your taste. Then, your monthly baking box will arrive fully stocked with pre-measured and color coded ingredients making the baking process simple. Rise takes the intimidation and hassle out of baking with results that will have her baking like a pro. Buy it. 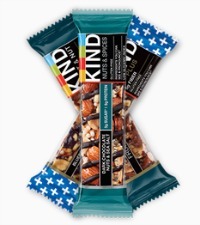 KIND bars make the perfect stocking stuffer idea! From fruity & refreshing, to simple & salty offerings, there is something to satisfy every mood no matter what your taste buds are looking for! Also, if you are looking for a gift for the snack lovers and health-conscious in your life, you might be interested in the Variety Cube. Each of the cube’s sides fall away to reveal the Nuts & Spices KIND bars, making it easy to eat, share and enjoy! The Nuts & Spices bars only 5 grams of sugar or less, no artificial sweeteners or sugar alcohols – they are a snack that only tastes indulgent. Buy it. Finders Key Purse is the perfect gift that rarely gets “regifted”. It is an accessory that decorates the outside of a bag, diaper bag, or backpack that prevents keys from falling to the bottom. Imagine never having to DIG to the bottom of your purse, or DUMP out your purse looking for your keys that are always at the bottom! Not only is this a convenience not to dig around the bag, but a safety measure as well. Women should always have their keys out as they go to and from. 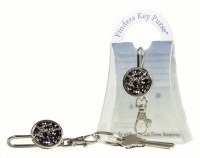 They also carry pepper spray and panic alarms that attach to the Finders Key Purse®. What good is any safety item if it is stuck at the bottom of your bag? Buy it. 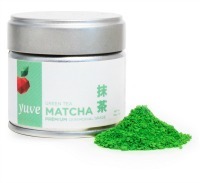 If you are looking for a healthy holiday gift idea, check out this high-quality, sugar-free matcha green tea from Yuve. Matcha tea powder makes a great gift because it is ideal for healthy holiday recipes, it is an amazing skincare product due to its million antioxidants, and lastly because matcha is in high demand. Yuve matcha comes directly from a small farm in Japan and is vegan, raw, non-gmo, and chemical free. Buy it. 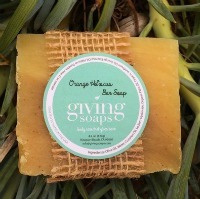 Giving Soaps bath & body products are not just amazingly good-smelling (they are), but they help keep the environment going strong and give back to charities working worldwide. Their scents include Orange Hibiscus, Peppermint Tea Tree, Cherry Bark and Almond and much more. Their ingredients are 100% plant-derived and their packaging is all reusable and/or compostable (no plastic!). Most importantly: 20% of sales are donated back to their charity partners. Buy it. For those that don’t like their purses to touch the ground, the Matte Hematite Clipa 2 Bag Hanger makes the perfect gift. This automatic, spring-closing ring protects your bag from germs, water, dirt even thieves. 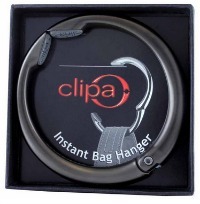 Unlike other hangers, Clipa goes on the bag strap for fast use, holds a hefty 33 lbs yet needs just a ½” to work. Clever round design works on rails, carts, diaper changing stations, and strollers. And if she clips it to her car’s passenger seat headrest, her bag will stay in place whenever she hits the brakes! 1.6 oz. Tested to last for 10 years. Never needs polishing because it won’t tarnish. Buy it. Don’t be embarrassed by your dry and callused feet. Get beautiful feet with the pedicure powerhouse PedEgg Powerball! PedEgg Powerball easily buffs away calluses, dead skin, or dry and rough skin in seconds! Your feet will look years younger and feel baby smooth. PedEgg Powerball is completely painless and contains no dangerous blades. The secret is the nano-abrasion roller that’s 40% larger combined with the exclusive pivoting powerball. It conforms to the contours and curves of your foot. It even has a powerful built-in LED light so you can see up close. You’ll never have to worry about missing a spot. Be confident in your own shoes again with the PedEgg Powerball! Buy it. 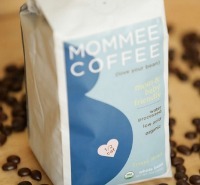 Whether you are a new mom, pregnant, breastfeeding, trying to conceive, or the mom of a teenager, Mommee Coffee is for you. Mommee Coffee features a range of caffeination levels (decaf, quarter caf, half caf, and full caf) so that your can tailor your caffeine consumption to meet your individual needs/desires at each stage of your Mommee journey. This coffee has Organic certification and a decaffeination process without the use of harmful chemicals as well as a proprietary roasting process that results in a low acid coffee that retains all its flavor. Because it is low acid, it is gentler on a mom and baby’s sensitive stomachs and bones. Buy it. 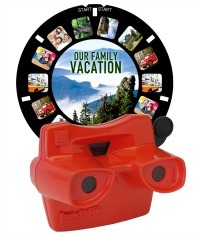 Image3D makes a fun gift that has a retro feel with a modern twist. Image3D allows you to make 3D viewers—called the RetroViewer—and custom photo reels from your own digital photos! These would make great gifts for friends or family, or even as a fun way to save your vacation photos. The whole process is really simple and takes less than 30 minutes to create your custom reel from start to finish. A few days later you’ll get your RetroViewer and custom photo reel in the mail. The RetroViewer is available in red, blue, black or white. Buy it. A perfect gift for the foodie in your life. Delicious Yogini Two Chocolates Cookies are five-star rated for taste and presentation. They are rich with dark and semi sweet chocolates. Baked with love using free-range organic eggs, family farm butter, organic Rainforest Alliance and Free Trade bitter and semisweet chocolates, organic sugars and of course, they are non-GMO. Buy it. This Eddie Bauer Packable 700 Fill Power Down Throw from Downlite Home makes a great gift for your loved ones. 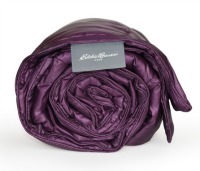 They can use it to stay warm at home, camping or even use as an emergency car blanket. 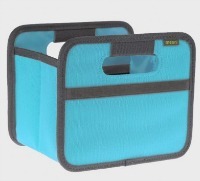 700 fill power down is combined with packable poly/nylon twill weave fabric for a space saving design. These throws measure 50 inches by 60 inches. Includes color matching storage bag. It’s also machine washable. Buy it. 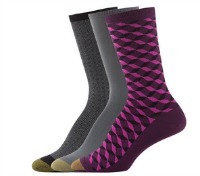 The Women’s Oh.So.Soft Socks from Gold Toe makes a great gift for the gal who has everything. Designed using ultra soft microfiber polyester and nylon yarns, this line both looks stylish and feels superb to wear, allowing ladies everywhere to treat their feet this holiday season. Buy it. MOSCATO ROSÉ Sweet Aromatic Sparkling Wine from Astoria Wines makes a great gift. This pink wine is crafted from the Moscato and black Malvasia grape varieties which come from the Val de Brun estate. This intensely aromatic wine features an aroma of Moscato, strong and delicate peach with a hint of strawberry and sage. Buy it. Setting Lotion from Kusco – Murphy is suitable for all hair types. It acts as a volumizer to add strength and shine. Apply to wet hair before styling. Effective for keeping hair straight when blow waving. 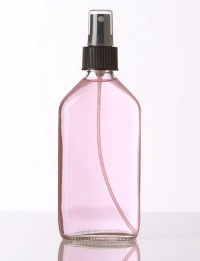 If applied to dry hair creates a straight messy effect that will last all day or night. Does not leave any build up and brushes out easily. Kusco – Murphy’s Setting Lotion delivers strong hold for hot rollers and blow wave sets. Buy it. Buy it. 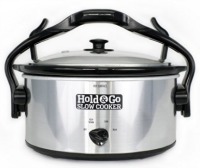 The Hold & Go Slow Cooker is an ultra-portable slow cooker. This 5 quart slow cooker has one single handle and lid holder which is perfect for those who have an on-the-go lifestyle. Use it to safely and conveniently carry your slow cooker to tail gates and parties using just one hand. Frees up the other hand to open doors/trunks or carry additional items. The reinforced handle has been tested to hold up to 60 lbs and it doubles as a locking mechanism, preventing spills during transit. No more messes in the car! Available in red or silver. Buy it. Especially during the busy holiday season, we all know a mom who could be shown just a little extra love amidst all of the holiday craziness. Indeed, ShareCrate is a care package gift service designed specifically for you to show this kind of love. ShareCrate allows you to share your love through food with a friend or family member who is experiencing an important life moment, from a new baby or new job to a messy divorce—or for when you just want to show some extra love to another mom, especially during the busy holiday season. It’s the perfect gift for when you want to share your love but your parents, friends, and family simply live too far away for you to drop off a homemade meal. Buy it. Coloring encourages both mindfulness and creativity, allowing the brain to relax from the stresses of everyday life. This coloring Creativity kit comes with two coloring books, two double-sided posters to color and eight coloring pencils to promote relaxation, improve mindfulness, and relieve stress. The huge variety of beautiful illustrations, patterns, and designs will inspire you and the thick, smooth paper is a satisfying pleasure to color on. Be transported away from everyday worries and achieve a Zen-like state of mind through the simple act of coloring. 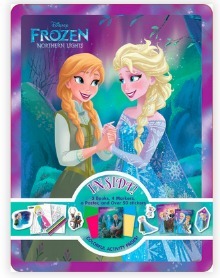 Tin includes one 32-page paperback, one 64-page topbound paperback, 2 posters, and 8 coloring pencils. Buy it. 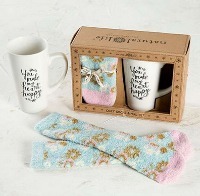 The Mug & Cozy Socks Gift Set from Natural Life makes a great gift for a mom, daughter or best friend! It’s the perfect way to help your loved ones feel warm, relaxed and comfy! Sets feature a pretty mug with a kind saying and a super comfy pair of socks. She will love using the mug for a hot cup of coffee or tea and feeling cozy in these amazingly soft socks. Natural Life has other gift sets available as well. Get a free boho bandeau and free shipping with your order of $60 or more. Buy it. Treat yourself or someone else to beautiful, distinct products from around the world that support remote artisans and farmers, delivered each month from Globein. Choose from themed boxes such as Kitchen, Wander & Laundry. Boxes include specific information about each item and where it was made and by who. Use code ARTISAN25 for $10 off your first month’s box with a purchase of a 3-month or longer Artisan Box subscription. Buy it. 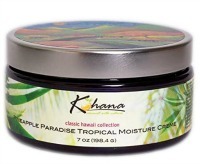 Infused with the fresh scent of pineapple, Kohana Skin’s organic Pineapple Paradise Tropical Moisture Creme is the perfect holiday gift, bringing the gift of the tropics, wiping out winter blues. This rich body creme provides the skin with the nourishing benefits of kukui nut oil, known for its high content of essential fatty acids. Kukui nut oil has been used by native Hawaiians for hundreds of years and is known to fade scarring and dissolve microscopic scar tissue. The organic plant, flower and nut oils in this rich body creme seal in moisture creating soft, supple skin. Buy it. Do you know a mom who can use a time out? 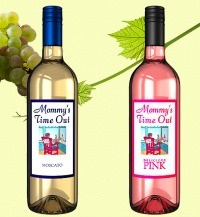 Mommy’s Time Out wine will give her the break that she deserves. These wines are delicate and fruity. They come from some of the finest vineyards in Italy where the best grapes are vinified, resulting in a long lasting finish. They are a great complement to food, or may be served as an aperitif. Choose from Garganega Pinot Grigio, Delicious Red, Moscato, and Delicious Pink. Buy it. Company coming for the holidays? Don’t forget to freshen up your linens and bedding with all® fresh clean Essentials. This all new sulfate-free, dye-free, hypoallergenic laundry detergent. 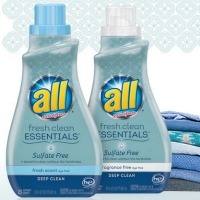 all® fresh clean Essentials™ is free of sulfates and dyes, but don’t worry, they didn’t skimp on cleaning power. You still get a powerful clean on the toughest kid stains, without the harshness. It’s a fresh approach to laundry. Available online only. Buy it. Get your linens and towels ready for company with Snuggle® PLUS SuperFresh™ Fabric Softener. 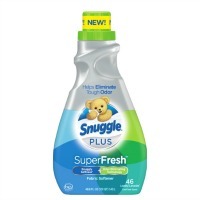 Snuggle Plus Super Fresh features the snuggly softness you love, plus new odor eliminating technology. It doesn’t just mask odors though, it helps eliminate it and releases Snuggly freshness. Snuggle® PLUS SuperFresh™ is the first-ever fabric conditioner & dryer sheet regimen designed to help eliminate tough odor and keep your favorites fresh. Buy it. Himalayan Salt Lamps make a wonderful gift because they are not only beautiful and natural works of art, but they are also natural air purifiers. How it works is simple. When the crystalized salt is heated by the included bulb inside, it releases negative ions. Negative ions neutralize pollutants in the air which improves indoor air quality. This is especially great for allergy sufferers and asthmatics. They also emit a warm, pleasant glow. The Himalayan Salt Shop offers a large variety of Himalayan Salt Lamps to meet your needs, no matter what your budget is. Buy it. Give the gift of clear skin. The Banish Kit helps to remove acne scars. With consistent use of the Banish kit products, skin will look more luminous, supple and evenly toned. Enjoy fresher looking skin with less bumpy texture! Results can be seen within 4 to 8 weeks. Banisher is also great for reducing the look of fine lines, wrinkles and stretch marks! The kit includes a banisher, cleaning container, all natural Vitamin C Serum and a storage bag. Buy it. 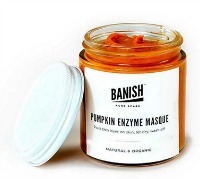 The Pumpkin Enzyme Mask from Banish not only smells delicious, but it contains loads of vitamins to help improve your skin’s texture. It is great for those who have dry skin and need healing from any skin issues. It dries out active acne (making it smaller and diminishing it size), reverses skin damage, and brightens the skin. If you have an active zit and your event is tomorrow, then you can count on this mask to dry up acne in 1-2 days! Buy it. 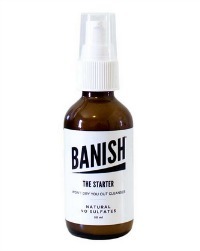 The Starter Cleanser from Banish is a natural cleanser that’s made without the use of sulfates. This means that it doesn’t foam and it won’t dry out your skin. Your face will never feel tight with this cleanser. It’s best for dry, acne prone, sensitive or problematic skin. Recommended for use before using the banisher and also the day after. Buy it. 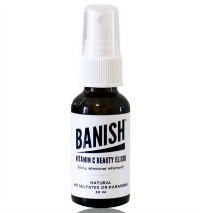 Vitamin C Beauty Elixir from Banish gives you that refreshing feel with the added benefits of Vitamin C! Contains organic ingredients so you can use it daily to tone skin, prevent breakouts, reduces redness and dark spots. It’s like water for dehydrated skin. Instead of always washing the face and using a facial wash, this skin care is convenient, portable and easy to use. Buy it. The Mini Foldable Box is the newest, tiny version of meori’s popular Classic Foldable Small Box. Ideal for stocking stuffers, the Mini box is perfectly sized to organize the little things – pens, hair ties, teas, spices and craft supplies. The Mini box folds up and stows away in seconds. Measures: 5”L x 6.5” Wx5”D. Assorted colors include: Spring Green, Azure Blue, Hibiscus Red, Marine Blue. Buy it. This holiday season, who wants another gift card to throw in a drawer or scarf to put in a closet? 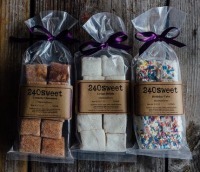 Great gift givers put yumminess in peoples’ bellies with gourmet marshmallows and hot chocolate from 240 Sweet. Since these puffs cost more than what the ones in the grocery store run, they are an indulgence. Creative flavors like Birthday Cake and Creme Brulee lead the pack of happy flavors. They even make a decadent hot chocolate mix to put them into. Save $10 off the Peppermint Hot Chocolate Kit with code sweetdeals. Buy it. 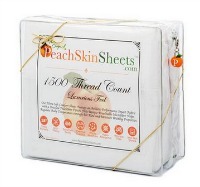 PeachSkinSheets make a great gift for the person who has everything. Who couldn’t use another set of sheets? But these aren’t just any sheets. These are gloriously soft, breathable, anti-pill and anti-snag bed sheets featuring thermal control and moisture management properties…warm sleepers stay cool, and cool sleepers stay cozy. Best of all, they have a luxurious 1500 Thread Count softness with a brushed PeachSkin finish on both sides. Available in Split King, Cali King, King, Queen, Full, Twin and XL Dorm Twin and XL Dorm Full. Buy it. Win it. KBShimmer’s Winter Collection is a line of seasonally inspired nail polishes that feature 16 NEW shades that will step up your beauty game as well as a few favorites! Whether it’s a gift for yourself, or a stocking stuffer for a loved one, lets ring in this holiday season. With colors such as Bling in the New Year and Royal to a Fault (pictured), just to name a couple, she is sure to love receiving these festive polishes. Buy it. Vert Beauty Brushes are made with a blend of both natural and synthetic hairs to create the perfect blend, making a must have for any makeup junkie. 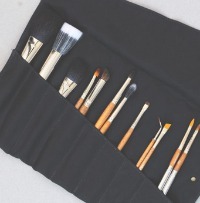 Brushes can be purchased in a set or individually. Buy it. 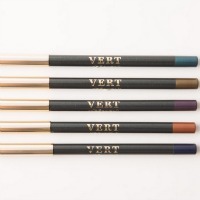 Vert Beauty Eyeliner Pencil provides rich, vibrant color with a hint of shimmer and mega styling power. Infused with an anti-aging blend of Mango and Meadowfoam Seed Oils, the vegan formula glides on like a dream. Buy it. 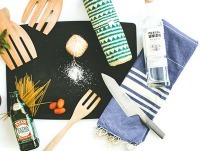 Give the gift of home cooked meals for under $10 with Freshly. 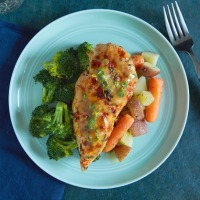 These meals are prepped and cooked by a team of culinary chefs who’ve set out to make healthy eating easy. The only thing you need to do is eat and enjoy. Even better, what if you never had to spend your time grocery shopping, cooking a 45-minute dinner or cleaning again? With Freshly, you simply heat your ready-to-eat, fresh (never frozen) meal and within 2 minutes sit down, and enjoy your dinner! Buy it. Heavenly Organics honey is truly something special and is the cleanest sourced honey you can find. 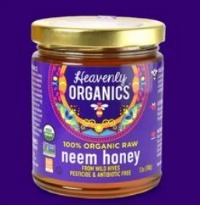 This raw 100% organic honey is so divine and different from other organic raw honeys because it comes from naturally-occurring wild beehives found deep within the pristine forests of Northern and Central India and parts of the Himalayan Mountains. That means that neither the hives nor the free-range bees have ever been exposed to pesticides, pollutants, genetically modified crops or antibiotics. Buy it. ips chips are a great gift for the snacker in your life. With ips chips you get just the right amount of protein to help satisfy your hunger quicker and get the nutrition you need. 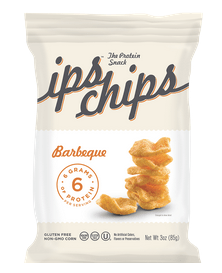 ips chips satisfy with integrity: great crunchy taste and packed with protein for nutrition that counts. Buy it. 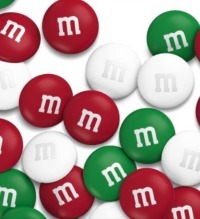 Give the gift of customized sweetness with My M&M’S. Every day is a celebration with personalized candies from My M&M’S. Perfect for gifts, party favors and DIY projects. 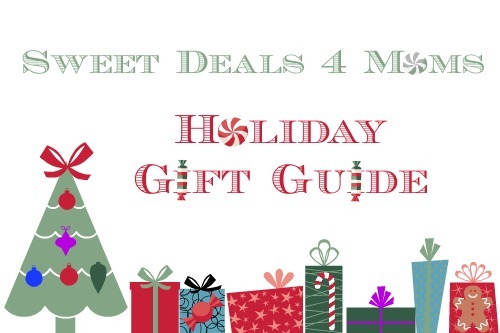 Choose from gift sets, candy boxes, party favors and more. Get 35% off your order through 12/23 with code SWEET35. Buy it. 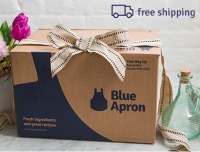 Blue Apron’s mission is to make incredible home cooking accessible to everyone. They offer meal boxes for two or for four which can easily be gifted. Get deliveries whenever it’s convenient for you. The ingredients are carefully packaged in a refrigerated box so food stays fresh, even if you’re not home when the delivery arrives. Buy it. 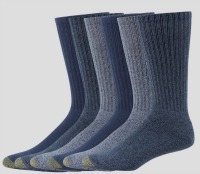 The Men’s Harrington Sock from Gold Toe makes a great stocking stuffer. Available in three different color variations (blues, charcoal and taupe), this newly-styled yet timeless “dressy-casual” collection is a must-have for men — especially when paired with a sports coat and nice pair of jeans. Buy it. The Poweraid® Solar Hat that Charges... is a neat and useful gadget that you can wear. Not only does it look good, but it also serves a purpose. 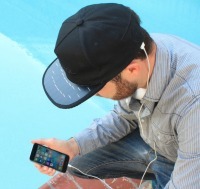 With SOLSOL™ Solar Panels on Brim of Cap, you can use it to charge your smartphone or other 5V USB gadgets. No batteries required. Features a USB connection on the side of the hat for easy charging. USB cable not included. Buy it. 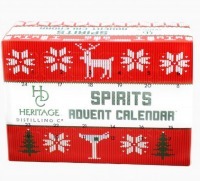 The Spirits Advent Calendar from Heritage Distilling Co. makes a fun and unique gift. It’s a box full of craft vodkas, gins, and whiskeys featuring 24 tabs. Countdown to Christmas by popping open each day to reveal the 50 ml bottle of the day (airplane shot size). The Spirits Advent Calendar includes 11 HDC products in random order. Buy it. For the coffee lover, Kimera Koffee makes a great gift. 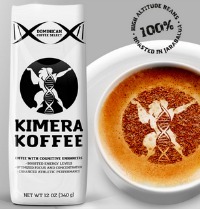 Kimera Koffee is packed with premium-grade Nootropics, proven to help you increase focus, power output and cognition. Nootropics are powerful cognitive enhancers that improve some aspect of mental function. The Nootropics in Kimera Koffee are all-natural amino acids typically found in protein-rich foods but not always easy enough to get from diet alone. Buy it. Can’t figure out what to give your beer loving Husband or Dad for the Holidays? 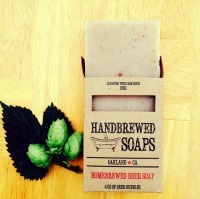 Give him a bar of Beer Soap by Handbrewed Soaps. Choose from Stouts, IPA’s, and Hefeweizen! They also have lotions infused in Hops and Beer! There is also an assortment of wine, coffee and tea soaps available. Buy it. Sugar-Free Tin of Indulgent Treats from Nuts.com: Gifting someone who love sweets but is watching their sugar? 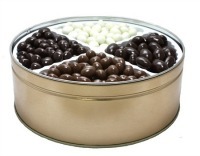 Treat them with this decadent tin of sugar-free goodies. They’re sweet enough without the extra sugar. Almost 3 pounds of sugar-free dark chocolate almonds and espresso beans, sugar-free milk chocolate peanuts, and sugar-free yogurt raisins. Buy it. 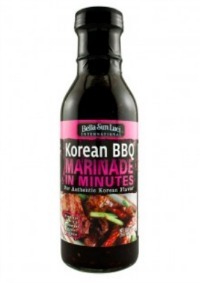 Bella Sun Luci offers three marinades with a flavor for everyone! Whether BBQing outside or baking, broiling, or frying it inside, these 3 unique flavors are sure to please! Choose from Basque Norte, Carne Asada & New Korean BBQ! Available by the jar or in one of our deluxe BBQ baskets online. Buy it. Cleaning your ears has never been more safe and easy. 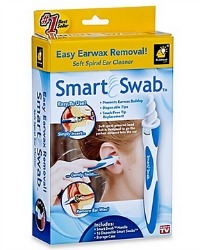 Smart Swab extracts more wax than cotton swabs without risking ear damage or pushing wax farther into canal. Unlike cotton swabs, the soft, spiraled, and grooved head on the Smart Swab captures the wax with a small twist. Comes with 16 extra disposable swabs. Buy it. Putting up Christmas Lights doesn’t have to be a hassle. Star Shower Motion has all the beauty as the original Star Shower but with the click of the Motion Activator Button, you can watch thousands of stars dance right before your eyes. No ladders, no hanging and no dead bulbs. 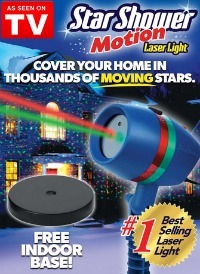 Choose from Red & Green or all Green Laser Lights. Buy it. For Those Who Compete in the Corporate Arena, this is a must have. 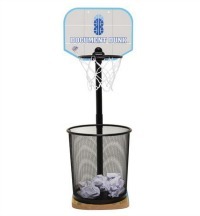 Keep your desk clean and clutter free with the Document Dunk, a miniature basketball goal designed for an executive’s wastepaper basket. Just aim, shoot and swish. The Document Dunk is the perfect addition to transform your office/cubicle into a corner office. The Document Dunk is easy to use. The stand attaches to a wooden basketball platform on which your own wastepaper basket can sit. (Trashcan not included). Buy it. The Crasher XL speaker is the newest and largest addition to JLab Audio’s family of portable Bluetooth™ speakers. The Crasher XL is built to withstand party fouls and ocean splashes, and blows away the competition with 88% more sound than the closest competitor. 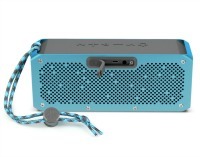 The Crasher XL comes with the highest splash-proof rating of any JLab Audio Bluetooth speaker at IPX6 and is designed to go hand in hand with any outdoor activity and can even withstand a quick rinse-off under running water. Available in two colors; blue and gunmetal. Buy it. 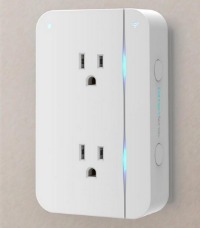 Frequent travelers, geeks and homeowners looking to inexpensively automate their homes now can turn traditional devices into smart devices with the ConnectSense Smart Outlet manufactured by Grid Connect. 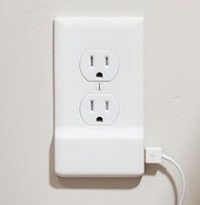 The Smart Outlet fits over any existing, standard North American electrical outlet. Its two Internet-connected electrical sockets enable users to automate everyday plug-in devices, such as lights, fans and holiday decorations. Because the Smart Outlet is built on the Apple HomeKit platform, users can control devices plugged into them using Siri (via iPhone, iPad, iPod touch or Apple Watch) or through the ConnectSense app. Buy it. 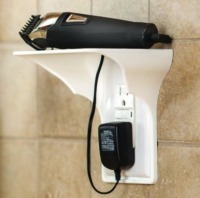 Power Perch, the outlet shelf, is a unique space saving shelf designed to hold electronics and other small objects. Perfect for keeping items off the floor and countertop in bathrooms, kitchens, dorm rooms, bedrooms and garages (basically any room in the house). Works great as a charging shelf for all mobile devices. The Power Perch attaches using an existing outlet existing outlet cover (fits all vertical single outlets and requires no additional hardware) so it is easy to install and won’t damage walls! Buy it. powerful strobe mode aids in self-defense. It withstands hard impacts, water submersion, and extreme temperatures, all in a compact design. Tactical-grade aluminum case is lightweight yet built to last in extreme conditions. Makes a great gift for dad. Buy it. 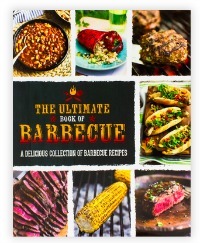 For the man who loves to barbecue, it doesn’t get better than The Ultimate Book of Barbecue! This book contains all the help and guidance he needs to host the perfect barbecue. Whether you are cooking over a simple fire or using a high-powered gas grill, this book will guide you through the basics, from firing up to maintaining and controlling temperature. It then takes you through the cooking process, showing how to quick grill, slow cook, or smoke food. This fantastic collection of tasty barbecue recipes for easy outdoor cooking contains all the traditional recipes, as well as some more contemporary choices. Buy it. 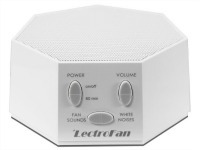 The LectroFan White Noise Machine makes a great gift for those light sleepers in your life. This portable Sleep Therapy System is a white noise machine. It can be used for sleep, study, relaxation and speech privacy. It features 10 different fan sounds as well as 10 white noises. It also features a volume control as well as a timer. The sounds from Lectrofan are dynamically generated. This means that they never repeat, which means you won’t be disturbed by a looping sound. Read the review. Buy it. For the noodle lover in your life, A-Sha Dry Noodle makes a fun gift. Choose from a Noodle Gift Box Set or a variety of single packs. The Dry Chow Mein Noodles are always a favorite and feature flavors such as Spicy, Oyster Sauce BBQ and Original. For a healthy and unique snack, try the A-Sha Seaweed Snack. Buy it. The man in your life will appreciate gifts from The Dollar Shave Club. Featuring products like the executive razor, Dr. Carver’s Easy Shave Butter and their newest line, Wanderer which all make nice gifts, but are still affordable. 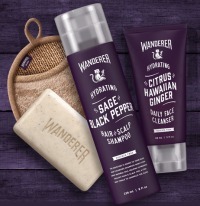 Wanderer is their sulfate-free shower line complete with shampoo, conditioner, face wash, cleansers and bar soaps. Buy it. 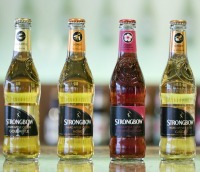 Strongbow Hard Apple Cider features award winning flavors that are sure to make the hard cider lover in your life smile. Choose from Gold Apple, Cherry Blossom, Honey and Ginger Flavors. The apples they use are grown to produce crisp and refreshing cider and nothing else. These refreshing drinks are great with snacks, a meal or dessert. They are fruity, yet feature several varieties of apple. Strongbow is available in a 12 pack. Buy it. Noise. It’s not what you want to hear when you’re listening to your favorite song or talking on the phone. 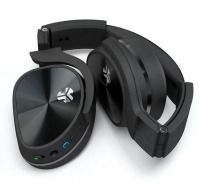 JLab Audio now offers a solution for unwanted noise with the launch of the Flex Bluetooth Headphones with Active Noise Cancellation. These headphones eliminate 94 percent of unwanted background noise for half the price of competitors’ headphones. The headphones feature long lasting noise-cancelling playtime, award-winning sound and stellar comfort for periods of long wear. Buy it. The SnapPower Guidelight and Charger allow you to safely and easily transform an outlet coverplate into a convenient night light or an attractive USB charger. The Guidelight automatically turns on and off by a sensor and is equipped with energy-efficient LED lighting for perfect nighttime illumination. The charger requires no wires or batteries and leaves all outlets free for use. Buy it. Winc connects you to a world of exclusive wines tailored to your tastes and delivered directly to your door. The process is easy, just answer 6 questions to help them assess your unique taste, and they will send you wines specifically chosen to match your palate. After trying the wines, rate them to get better recommendations. 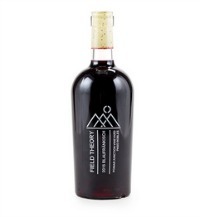 This is a perfect gift for the person who loves to try new wines. Buy it. 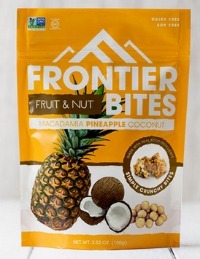 Snack back to reality with Frontier Bites. Welcome to the new frontier of snacking. No artificial junk. No refined sugar, no crash and burn. No dairy, no soy, no gluten. Just real ingredients that give you the fuel you need and the taste you crave. Buy it. Here is a game that the entire family can play together! The Rock Band Rivals Band Kit! Comes complete with a wireless drum kit, which includes wooden drumsticks, a replica Fender Jaguar guitar, a distortion free microphone and the Rock Band 4 video game so everyone can get off the couch and be a rock star – in their own home. The iconic Fender Jaguar guitar controller design makes traveling to Rock Band gigs easier, thanks to a brand new foldable guitar! The core game includes a soundtrack of more than 60 songs, and all of the feature updates released over the last year like Practice Mode, Setlists, and Brutal Mode. You also get access to the Rock Band Music Store and its 1800+ additional great tracks for purchase. Available for Xbox One or PS4. Buy it. Children will enjoy the wonders of nature at home with Insect Lore’s Butterfly and Ladybug kits. The Original Butterfly Garden arrives with five caterpillars that transform into Painted Lady Butterflies. Once the caterpillar’s cocoon, they can be transferred to their pop-up mesh habitat so children can watch the entire process happen. Watch them grow, then let them go so the butterflies will continue the amazing life cycle. Besides beautiful butterflies, Insect Lore’s Original Ladybug Land is a fascinating experience! 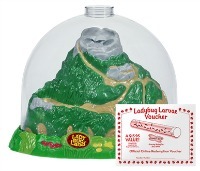 Children can watch ladybug larvae transform into Adult Pink-Spotted Ladybugs in a clear domed habitat. Choose from live larvae or a voucher to redeem when the child is ready to begin the experience. Buy it. Pipsqueak by Yip Yap is a “smart” phone for kids that’s brilliant for parents! Pipsqueak is a non-cellular Bluetooth and Wi-Fi enabled phone designed for kids ages 3+ that is controlled by parents via the Yip Yap parent companion app. Pipsqueak allows kids to safely connect with the people and content they love. Using Pipsqueak kids can make phone calls, watch videos and movies resident on the device or via YouTube, view photos, and more. 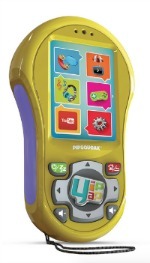 Pipsqueak is available in Pink, Blue, Green and Yellow and comes with charger and kid sized earbuds. Use code SWEETDEALS to get a free extra set of cover plates, a $10 value! Buy it. This Kwid Watch from Claessens’ Kids helps kids to learn to manage their time in a fun way. Featuring a unique hourglass function, parents choose the duration of the activity by filling in the electronic hourglass. When the hourglass is empty, an alarm is activated and Mother Rabbit pops up. The activity is finished ! Also, kids can easily make the connection between the clock hands and digital display numbers. By pressing on the “kid” button, the hour hand flashes simultaneously with the corresponding digital hour number. By pressing a second time, the minute hand flashes simultaneously with the corresponding digital minute number. This is perfect for tooth brushing and potty training. Choose from pink or blue. Buy it. Pals Socks, actively create positive social change. Pals are purposely mismatched as unlikely friends to start an easy convo about having different friends, keeping an open mind, and trying new things. 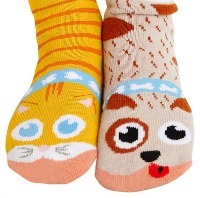 The Cat & Dog Pals Fun Kids Socks come mismatched as 2 classic yet opposite family pets, the orange tabby Cat and brown spotted Dog. They have ‘defeeted’ the norm to become friends! Buy it. 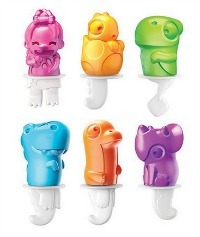 These fun Dino Pop Molds from Zoku are sure to be a hit with the kids. These ice pops are from another era. Become an om-nom-nomivore with Lucy the Cavegirl and her five larger-than-life dinosaur friends—a stegosaurus, pterodactyl, tyrannosaurus, triceratops, and apatosaurus. It’s sure to be a dino-score. Your pops will feel right at home in any freezer and can be made with your favorite juices, smoothies, or other recipes. Each frosty pop can be easily removed from the mold by pulling on the stick—no rinsing required! Buy it. The Kindle for Kids Bundle makes a great gift for your little reader. 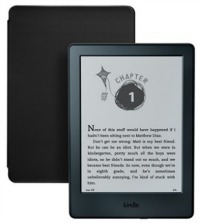 It includes the latest Kindle without sponsored screensavers, a free cover, plus a 2-year worry-free guarantee. The guarantee is great because if they break it, you can return it and Amazon will replace it for free. No questions asked. That’s should give you peace of mind. The Kindle for Kids is distraction free, unlike tablets. It is ONLY meant for reading. Also, it doesn’t have a backlight, meaning bedtime starts once the lights are out. Kindle features a reader’s vocabulary with tools like Word Wise and Vocabulary Builder. And, if you are a Prime member, you’ll get unlimited access to over a thousand titles. Buy it. Maggie the One-Eyed Peregrine Falcon: A True Story of Rescue and Rehabilitation is a true story of how one peregrine falcon, Maggie, lost partial eyesight and became part of a program at the Wildlife Center of Virginia that teaches adults and children about falcons. Readers follow young Maggie as she begins to leave her parents’ nest and practice flying. Her life changes when she crashes into a building and tumbles to the sidewalk. Fortunately, she is rescued and taken to a wildlife hospital. Vets ultimately decide her left eye is so damaged it will never recover. 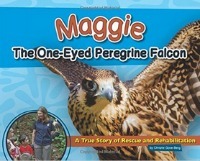 This means Maggie can never return to the wild, as peregrine falcons require both eyes to hunt. Maggie is then trained to work with wildlife educators to teach people about her species. This book is perfect for kids grades K-2. Buy it. 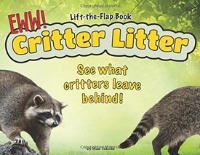 The Critter Litter: See What Critters Leave Behind! board book is a great gift for kids grade PreK-2.This lift-the-flap book presents a glimpse into the digestive systems of 13 North American mammals. Each animal is given its own spread featuring a brief introduction about where to find it and how to distinguish it from other creatures (tracks, physical characteristics). On each spread, the text is accompanied by captioned photographs, simple shadow illustrations of footprints, and, under the flap, a small photo of the animal’s excrement. The use of color photographs to show real droppings sets Tekiela’s work apart from other poop books, as most rely solely on illustrations of the waste matter. Buy it. 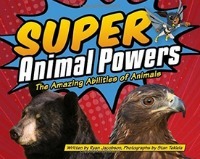 Super Animal Powers: The Amazing Abilities of Animals is a great picture book for kids. Animals are amazing—you might even say they’re super! They have special abilities that you’ve only seen in comic books and on your favorite cartoons. Super speed, laser eyes, invisibility and more, the powers that our North American animals possess are truly incredible. Acclaimed children’s author and superhero expert Ryan Jacobson joins forces with award-winning naturalist and photographer Stan Tekiela to reveal the true identities of several critters and their astonishing skills. Power-packed with fun facts and sensational details, Super Animal Powers has received the prestigious Gold award from the Mom’s Choice Awards! Buy it. One World Futbol, is an un-poppable soccer ball that gives play to the recipient as well as underserved children around the world. Sold via a buy-one-give-one model, the ultra-durable ball is designed to withstand harsh conditions so that it never needs pumping up. 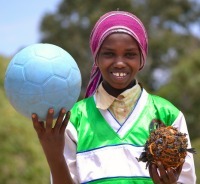 For each One World Futbol sold, another ball is donated to organizations that bring play to children all over the world. Isn’t that great? When you buy One World Futbol you’ll not only be giving a great gift to someone you love, but also to someone less fortunate. What a good cause. Available in an assortment of colors. Buy it. 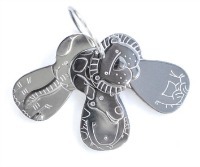 Kleynimals are non-toxic stainless steel toy keys that will satisfy your child’s desire to play with metal keys without the hazards of lead contamination, sharp edges, or the daily grime that come with the keys in the bottom of your diaper bag. Each Kleynimal has been safety tested to ASTM/CPSIA standards for babies 6 months and up by a third party laboratory. One of the reasons Kleynimals is made from stainless steel is because of its lower environmental impact. Stainless steel is 100% recyclable and the average stainless steel product contains over 50% recycled material. Features Eli the Elephant, Gus the Giraffe, and Leo the Lion. Made in the USA. Buy it. Award-winning Arckit is a creative, freeform model making system opening up the world of architecture to everyone. Arckit is a whole new way to spontaneously explore and build scaled structures, bringing architectural ideas to life. Inspired by real colors used in modern architecture, Arckit Go Colours is a fun way to learn design skills early on. 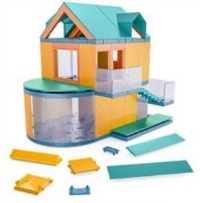 Large floor plates and easy ‘click and connect’ components make this the perfect starter set for younger architects. Online access to Arckit Digital components within the SketchUp 3D Warehouse also offers budding architects the option to create their designs digitally too! Appropriate for ages 10+. Buy it. 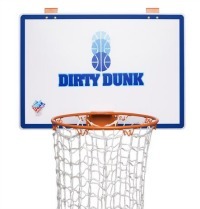 Make cleaning up their room fun with The Dirty Dunk Over-the-Door Basketball-Hoop Laundry Hamper. This gives kids a cool and fun way to keep their rooms clean and allows parents to breathe easier at night. This easy to assemble kit, hangs securely from their bedroom door with sturdy padded metal hooks. Just hook The Dirty Dunk on the back of a door and watch as they swish or dunk their dirty clothes away! Features a sturdy backboard as well as a 45“ long nylon net with a handy drawstring bottom, for easy laundry removal. Buy it. 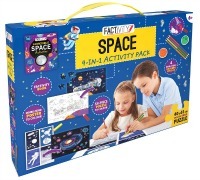 The Space 4-in-1 Activity Pack is sure to provide hours of entertainment for your little one 5+. Take a journey through space and learn all about the universe with this awesome 4-in-1 activity pack! This awesome pack comes with an Incredible Space activity book, a double-sided poster to color, a 54-piece puzzle you can color when you are finished and four double-sided coloring pencils. 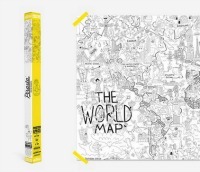 Includes a box with handle with one 48-page paperback, 1 poster, 1 jigsaw puzzle and 4 colouring pencils. Buy it. Buy it. What Frozen fan wouldn’t be excited to find this Disney Frozen Northern Light’s Collector’s Tin under the Christmas Tree? Join Anna, Elsa and your favorite Disney Frozen Northern Lights characters for some ice-cool fun! Inside this tin you’ll discover two fun activity books and a magical coloring book, as well as a perfect poster to hang in your bedroom, 50 dazzling stickers, and 4 markers. It’s a tin full of fun! The tin includes two 24-page paperbacks, one 32-page paperback, 1 sheet of stickers, 1 poster and 4 felt-tip pens. Buy it. The Nano Drone for Beginners from The Grommet makes a great gift for kids 14+. 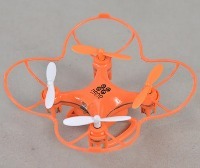 The Nano is AERIX Drone’s beginner model recreational drone. It’s essentially a quadrocopter, with built-in impact guards and landing skids to keep the drone, and your surroundings, safe while you earn your wings. Offers a 5-7 minute flight time per 20-minute USB charge. Features 3-speed calibration settings which provide smooth lift and maneuverability Buy it. It turns out kids can’t have too many socks, ever. Contrary to popular belief, I think that socks make wonderful gifts! The Kids’ 6+1 dye bonus pack from Gold Toe makes a great stocking stuffer. Featuring EZ Match – The number of gold rings on the toes tell the size! The toes are reinforced for longer wear and durability. This is a Limited Time ONLY bonus pack. Get yours here. 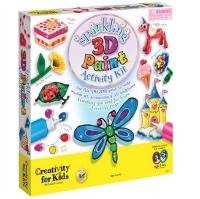 The Sparkling 3D Paint Activity Kit from Faber Castell is a perfect gift for kids ages 6-96. Similar to puffy paint, 3D Wonder Paint is an art medium used to create window art, dimensional crafts, sun catchers, holiday projects, fashion accessories and much more. The 3D Wonder Paint collection of products includes activity books, activity kits, paint sets, refills and project sheets. Buy it. 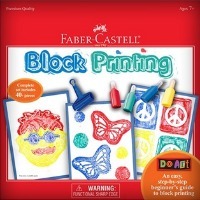 Faber Castell’s Do Art Block Printing kit is the perfect kick off for beginning artists. This fun art set offers quality art materials and step-by-step illustrated project instructions. Learn the basics of block printing with this complete 40+ piece set. The kit includes a printing tray, foam block printing sheets, paint, brayers (rollers), printing, tracing and transfer paper, etching tool, stencil, scissors and more. Buy it. 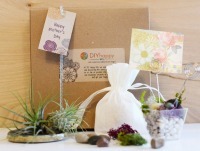 DIY Happy Kits feature award winning innovative DIY craft kits that nurture creativity and adventure in all ages. These kits are great for crafting, and handmade gifts, with new additions every week through the year. The kits encourage kids to play, create and explore. These are perfect for holiday gifts, quick, smart and fun at the same time! Buy it. 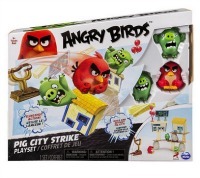 With the Angry Birds Pig City Strike Playset, you can bring the fun-filled action of the Angry Birds game to your family room floor. Carry out revenge on the menacing pigs who stole the birds’ eggs by placing the Red figure in the slingshot, pulling him back and releasing him to wreak havoc on Pig City. You can build teetering structures using the rocks, ladder pillar, planks, building and crates, and unleash Red’s anger to show the pigs you mean business. Buy it. These cleverly illustrated and humongous coloring posters from Pirasta are 5 feet by 3 feet so no one has to fight over finding a space to color or elbow each other for a spot. Spread it out on the floor or hang it on the wall with painter’s tape and start coloring. You can use markers, gel pens, colored pencils and crayons on the posters. Choose from What A Colorful World, Let’s Color America, The Big Apple, Food Fight and Funny Farm. Buy it. 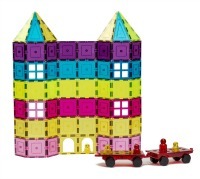 Introducing innovative Shape Mags magnetic tile building sets that allow little builders to create castles, bridges, trains, buildings, pyramids, the possibilities are endless. Shape mags come in train track sets, gates and fences, frames, arches, windows, doors, and much more. Shape Mags are compatible with other magnetic tile brands making it easy to add on to your child’s existing collection, but offers a wider selection of tile shapes. Let your imagination and creativity flow wherever you go as each set is self contained in a handy carrier box! It’s great for a wide age range, kids, and teens and even for adults! Buy it. Kiwi Crate offers high quality award-winning products across four brands for young makers ranging in age from 3 to 16+. Kiwi Crate was created to celebrate kids’ natural creativity and curiosity. Kiwi Crate wants to make it fun, easy, and delightful to spend time building, exploring and creating together. Kiwi Crate’s mission is to help equip the next generation of innovators with the tools for creative problem solving and exploration. Kiwi Crate’s main offering is monthly subscriptions of Koala Crate (ages 3-4), Kiwi Crate (5-8), Doodle Crate (9-16+), and Tinker Crate (9-16+). Buy it. 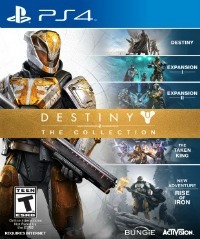 Destiny – The Collection is an all-access pass to one of the best-selling franchises in video game history, packing two years of content into one epic offering, including the new Rise of Iron expansion. Destiny – The Collection features the following FIVE adventures: Destiny – Original award-winning game, The Dark Below – Expansion I, House of Wolves – Expansion II, The Taken King – First Major Expansion, Rise of Iron – Destiny’s newest adventure. Available now for PlayStation®4 and Xbox One®. Buy it. 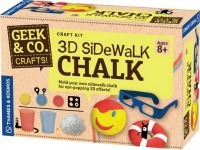 The ”3D Sidewalk Chalk”kit from LabRatGifts.com makes a great gift for kids ages 8 and up. Mold your own colorful sidewalk chalk. With this 3D Sidewalk Chalk Science Kit, kids can draw pictures on the sidewalk or pavement with the chalk, and use the 3D glasses to make the images pop off the ground. Buy it. The Stretch Fleece from Gold Paw Series will make your pup the most stylish one on the block. These on-trend plaid fleeces feature a 4-way stretch and will ensure your pup is warm and comfortable this season. All Gold Paw Series products are proudly sewn in the USA. Buy it. Stocking stuffers are essential when gifting to any pet parent/ pet and Caru Natural Soft n’ Tasty Dog Treats new exotic flavors – Alligator, Rabbit and Wild Boar – are the perfect stocking stuffer this Christmas. 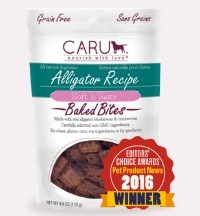 Caru natural treats are made with real meat or poultry as the first ingredient (no ingredients sourced from China) and do not contain any wheat, gluten, corn, soy or animal by-products. Each snack is packed with high quality protein for strong muscles and healthy heart. Buy it. 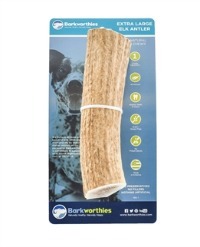 Get in the holiday spirit with all-natural Elk Antler Chews. Offered in a variety of shapes and sizes, these are great for teething pups or dogs that just love to chew. Each of the 45 Barkworthies antlers are hand collected, washed, cut, and packaged in the USA. Buy it. 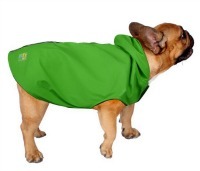 The Deluxe Raincoat for dogs from Jelly Wellies makes a great gift for your furry friend. The 100% Waterproof PVC Coated Outer Shell keeps your pet dry on rainy day outings. The Reflective Strip Provides Safety and Visiblity at Night. 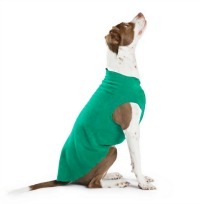 Lined with Polar Fleece to Keep Your Dog Warm and Dry through the winter. Buy it. Spoil your furry friends with Kaleb’s Organics Dog Treats. These USDA Organic treats are wheat, corn and soy free with all natural ingredients. Kaleb’s Organics ingredients include: organic bananas, organic blueberries, organic apples, organic cranberries, organic coconut, organic tomatoes, and other natural ingredients full of antioxidants. These healthy ingredients combine to make treats that taste great while giving your dog essential vitamins and nutrients that keep them feeling good! 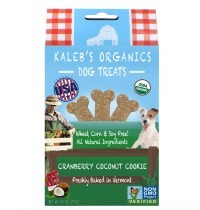 Kaleb’s Organics Dog Treats are baked fresh daily in Vermont, USA. Buy it. Your fur baby will love taking a bath now with the Woof Washer 360. 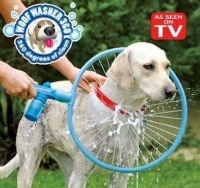 Connect Woof Washer 360 to your hose, add shampoo, slip the hoop over your dog and turn on. The soap and water instantly mix, creating a sudsy solution to scrub your pup clean, from head to tail. Your dog will be shampooed and rinsed in under one minute. Buy it. 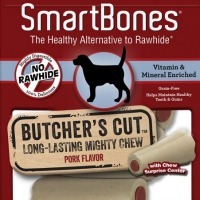 SmartBones® Butcher’s Cut Innovative Chews have all the benefits of a rawhide chew without the rawhide! Many veterinarians are concerned with the potential health risks associated with dogs consuming rawhide. NO RAWHIDE SmartBones® Butcher’s Cut Long-Lasting Mighty Chew is made with real chicken and wholesome vegetables, and is packed with a pork flavor chew surprise center, for a mighty taste dogs can’t resist! Buy it. SmartBones® Smart Chews are a treat that your pet will love. These contain No Rawhide, but are highly digestible and your dog will find them to be 100% delicious. 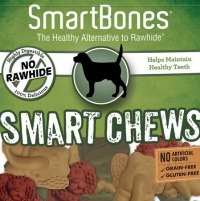 Smart Chews are grain free, gluten free and helps maintain healthy teeth. They are made with Real Chicken and Vegetables and are vitamin & mineral enriched. Buy it.